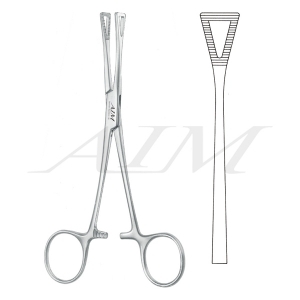 Collin Tissue Seizing Forceps is 6" in length and is ideally used in general surgery to obtain a firm grasp of tissues while an operation is being performed on nearby organs or tissues. The tips of the jaws are triangular in shape and are 12.0 mm wide. 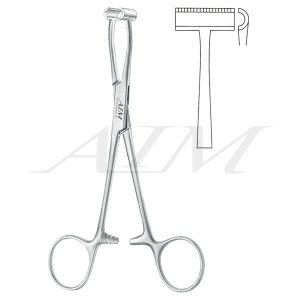 These tips also contain small teeth on the edge to minimize the possibility of slippage.